The feedback and reviews that you would find in this page were sent by customers whom we had the pleasure of serving in the past. Know what they have to say about their experience with our gate service. Read through their testimonials so you can learn more about us. 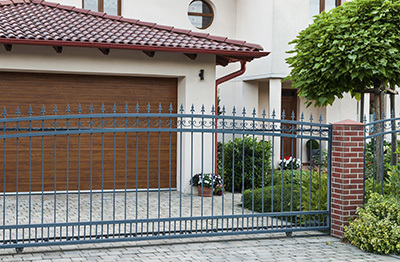 "I decided to get a more advanced gate intercom system, but did not know where to start from. I am clueless about all the technical things. Then a friend recommended Gate Repair Orange and I contacted them right away. They offered an installation service which included consultation among other things so I hired them for the job. I received all the professional support which I needed for choosing the best system. I got it at a very affordable price thanks to these guys as well. The technician fitted the receiver and transmitter and programmed the intercom. It has been working flawlessly since then. The signal is strong and there are no issues with the sound. I couldn't be happier with their help." Last fall, I was looking for a good company to install my new driveway gate opener. When I heard the positive reviews of Gate Repair Orange, I hired them right away. The company advised me on the best brands for my budget, and encouraged me to make the decision I felt most comfortable with in the long run. Instead of pushing an agenda or promoting certain product, the company let me think for myself. I chose the Elite opener, which the company then installed for me. I am so glad I chose to work with this company and I would highly recommend them to anyone.